Gokyo Everest trekking is the popular trekking of this Everest region. Situated at Everest region, Gokyo valley trek is fascinating trekking destination that takes you all the way to the shiny lake at the lap of Mt Everest. This frozen lake is popular for its location and its natural beauties all around. Residing in the small lodges and trekking through gives you panoramic and magnificent mountain views. It is an alternative to Everest base camp trekking and usually less crowded. The more of Everest is visible from this Gokyo RI, from a slightly greater distance than from kalapatther. You can experience exceptional beauty from this trekking. You will get through more a legendary mountains.Commencing this trek you will pass through various Buddhist monasteries and snow towering mountains. Sherpa’s and their cultures can be well perceived through this trek. The remarkable view of this trekking would be Ice Bridge. This region is famous for flowers and fauna as well. Explore the highlands of Nepal and visualize the astonishing view of MT Everest and other mighty peaks. Also experience the culture and religion of Sherpa people and there hospitality. Day 1: Welcome to Kathmandu valley. We assist you from international airport to our hotel. Enjoy evening dinner and rest overnight. Day 2: Half day sightseeing tour to Kathmandu valley. Preparation for the trek. Today early in the morning after breakfast we provide you an experienced guide who will take you to some of the best sightseeing and cultural places around. At evening go for shopping and be prepared for the trek. Rest overnight. Day 3: Early morning scenic flight from Kathmandu to Lukla (2830m). Early in the morning drive to Manthali (4 hours) Take Manthali to Lukla flight. (April, May, June and July 2019). After a scenic flight to world most adventurous airport lukla, we let you explore the fascinating town of lukla. Enjoy the first sight to MT Everest. Enjoy evening dinner and cultural programs and rest overnight. Day04: Trek from lukla to Namche Bazaar (3480 meters). Today we trek from lukla following rough trekking trail of Everest region all the way to the gate way town of MT Everest, Namche Bazar. Explore the Sherpa town and enjoy the hospitality they offers. Day05: Namche Bazaar explore day. Today full day sightseeing and cultural tour around Namche bazar. Enjoy the fascinating view of mighty Everest and explore the cultural monasteries and ancient holy places around. Encounter with the humble people of Namche bazar and know there culture and religion. Rest overnight. Day06: Trek from Namche Bazar to Dole (4130m). Today trek from Namche Bazar trekking for 4-5hours into the adventurous trekking trail of Everest region all the way to Dole. Rest overnight. Day07: Trek from Dole to Machhermo (4470 meters). Today trek from Dole to Machhermo. We trek for 5hours into the beautiful natural surroundings. Rest overnight. Day08: Trek from Machhermo to Gokyo (4770 meters). Today after breakfast we trek from Machhermo all the way to beautiful Gokyo. 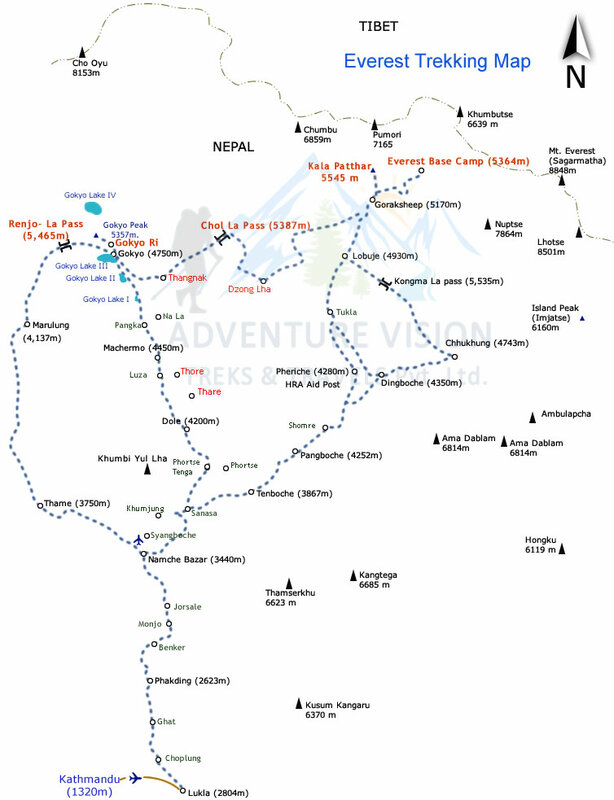 We trek for 4-5hours following the scenic trail of MT Everest. Rest overnight. Day09: Early morning hiking to Gokyo RI (5360 m) and then return back to Gokyo. Early morning an hour hike up to Gokyo RI. Enjoy the scenic view of MT Everest and Gokyo Lake. Trek back to Gokyo and rest overnight. Day10: Trek back to Dole (4130 m). Today trek from Gokyo descending all the way back to Dole. We walk for 4-5hours. Rest overnight. Day 11: Trek to Namche Bazaar (3480 m). Today we trek from Dole all the way back to Namche bazar. 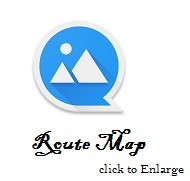 We trek for 4-5hors walking the scenic route of MT Everest. Rest overnight. Day12: Trek to Lukla (2795 m). Today we trek for 4-5hours walking back from Namche Bazar all the way to beautiful Lukla. Rest overnight. Day13: Fly from Lukla to Kathmandu. Today we fly a scenic flight from lukla back to Kathmandu valley. Explore around Kathmandu valley and rest overnight. Day14: Rest day in Kathmandu. Full day rest at Kathmandu valley. You may enjoy the day at Thamel local pub and enjoy your farewell dinner at hotel. Rest overnight.